Just the week before last weekend John and I were trying to figure out how we could make it to two different events scheduled for Saturday – quite a fluke for us – so we were all “sad-clown-face” by Wednesday when both events fell through. And so we coasted into our quiet weekend and puttered into Saturday. Until the phone rang: dinner invitation. Yesss! I headed out to pick up some wine and dessert: canele and an assortment of cupcakes from Hotcakes on Centinela and we social-butterflied over to our friends’ house for a great visit. 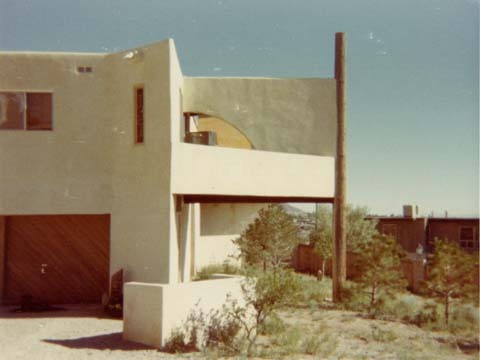 I’ll divulge little more other than the fact that I’m still picturing their beautiful piano – seemingly made for the music of Schubert; and being reminded of summer dinners outside on the balcony of the house I grew up in in New Mexico (pictured above).